Participants Can Use Pre-Tax Commuter Benefits Dollars in Additional Cities. Fargo, ND, February 13, 2018 --(PR.com)-- Discovery Benefits, a third-party administrator of tax-advantaged commuter benefits as well as other consumer-directed health accounts, such as HSAs, FSAs, HRAs and COBRA, recently improved its pre-tax commuter benefits plan to include 14 more Lyft Line locations in which participants can use their funds. Participants in a Discovery Benefits pre-tax commuter benefits plan can now use their benefits debit cards in the Lyft Line app to pay for commuting expenses in Atlanta, Austin, Chicago, Denver, Las Vegas, Los Angeles, Nashville, Philadelphia, Portland (Ore.), San Diego, San Francisco, Washington (D.C.), the Silicon Valley and New Jersey. Participants could already use their benefits debit cards in the Lyft Line app in Boston, Miami, New York and Seattle. “This is an exciting development that opens up savings potential for our participants in 14 additional markets where ride-sharing is very popular,” said Discovery Benefits Vice President of Software Delivery and Support Kenzie O’Shaughnessy. Lyft Line is a ride-sharing service that lets people request and pay for rides. Commuter benefits participants can use their funds to pay for rides between their homes and their workplaces, which saves them up to 40 percent on commuter expenses. 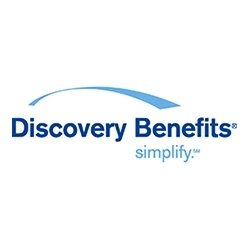 Discovery Benefits is a national leader in employee benefits administration founded in 1987. The company provides administration of health savings accounts, flexible benefits, COBRA, commuter benefits and health reimbursement arrangements and has a presence in all 50 states. Its mission is transforming the complexity of employee benefits administration with innovative solutions and extraordinary customer service delivered by empowered and knowledgeable employees. Discovery Benefits has been awarded Business Insurance’s Best Places to Work for eight consecutive years and has been ranked on Inc. 5000’s list of fastest-growing private companies in America for the past five. The company’s offices are located in Fargo, N.D. and Brookings, S.D.